UGM has collaborated with partners to increase understanding of Australia and relationships with Indonesia. Australia Update 2019 event is organised with the theme Situation and Dynamics of Australia: Opportunities and Challenge to Bilateral Relations with Indonesia, on Tuesday (12/3) at Auditorium of UGM Graduate School. “We are solid at government level, but unfortunately this has not been capitalised into something that can benefit both nations,” said Indonesian Ambassador to Australia and New Zealand, H.E.Y. Kristiarto S. Legowo. In economy, said Ambassador Kristiarto, both have signed the Indonesia-Australia Comprehensive Economic Partnership Agreement (IACEPA), to improve economic ties and open ways for business to both parties. But on bilateral ties, despite positive trends, the challenge has been at the grassroots level. He said that lack of understanding between both societies may trigger assumption and misunderstanding. “If the relationships between the two societies are good, the bilateral foundation will be solid and not easy to be broken,” he said. The Australian Ambassador to Indonesia, H.E. Gary Quinlan, said that Australian and Indonesian societies need to know more of each other due to the close geographic locations. Both also have similar interests to realise a peaceful and conducive region. “We are in the same region and we are facing various changes related to technology, etc. 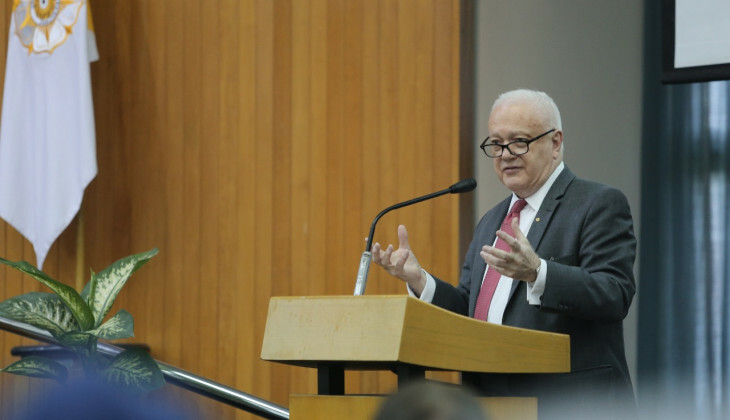 In this situation we need to have more functional cooperations,” said Ambassador Quinlan. Australia Update 2019 is organised through a collaboration between International Relations Department and Indonesian Embassy in Canberra, Australian Embassy in Jakarta, Foreign Ministry’s Policy Studies and Development Agency, and Education and Culture Ministry. The event is divided into three sessions on politics, economy, and socio-culture of Australian domestic condition. The Dynamics of Political Situation in Australia session presented senior journalist of the West Australian, Nick Butterly, and UGM lecturer, Dafri Agussalim, Ph.D. The Australia’s Economic Current Condition and Its Policies: Opportunities and Challenges session saw speakers Dr. John Hewson from Crawford School of Public Policy, Australia National University, Alison Duncan Minister-Counsellor for Economics, Australian Embassy, and Della Temenggung, Deputy Director – Advisory and Policy, Prospera. The third session, Australian Multicultural Life and the Australian Perspective towards Indonesia, presentes speakers Ben Bland, Director of South East Asia Project, Lowy Institute, Dave Pebbles, Minister-Counsellor for Political & Strategic Communications, Australian Embassy, and senior editor of the Jakarta Post, Endy Bayuni.